The 2015 season on the Varzuga will go down as a highly successful one but not one that can compete with the bonanzas of 2014 or 2012. You cannot have bonanzas without having ‘normal’ seasons and that was demonstrated this year. That we landed over 5,200 salmon in our short season and averaged over 28 fish per rod per week in a ‘normal’ year is perhaps the best indicator of how high our expectations of this river have become. In an era when up to date information is constantly available, it is ironic that we do not really know what to expect from the river until Christopher Robinson and the advance party actually get there and have a look at it for themselves. Pictures and descriptions from our Russian friends are all very well but rather like Eskimos and snow, there are so many descriptions of ice and what it means to the chances of the river being clear for us to fish, that we still rely on boots on the ground before knowing what we have in store. The river started to break up a few days later than normal in early May and justified our Russian partners diktat that the season must not start earlier than May 10th. It proved a fairly straight forward break and left behind a cold, high and dirty river which is not always ideal but actually set the season up beautifully. Lower Varzuga took a day or so to really get going but after that we found ourselves in the unusual situation where the numbers of fish landed from the Lower Camp were greater than that of Middle Varzuga. It is hard to know why that was, but a feature of the season was to be high water across all of the camps and it is possible that the classic holding pools that makes Middle so productive were too high to really kick in. 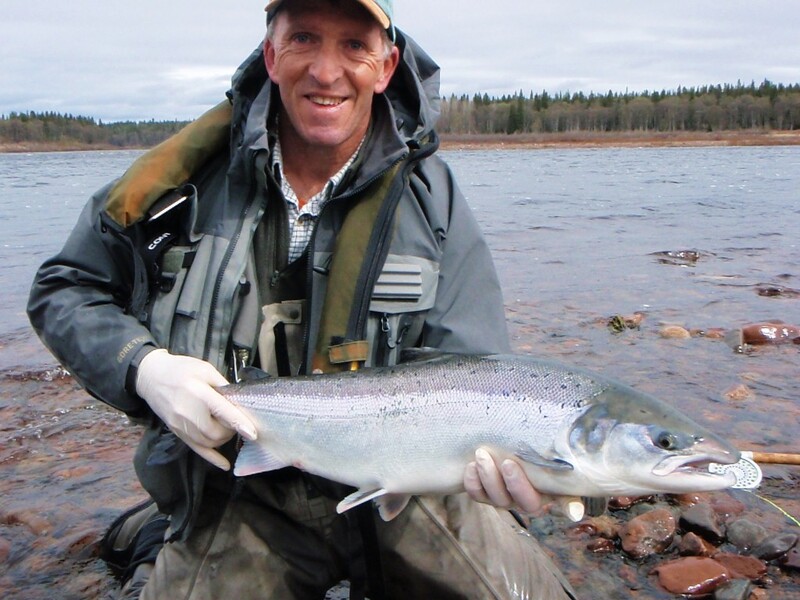 The first week saw 15 rods across the two camps land 577 salmon, a good start and we knew that the spring salmon run was well underway. 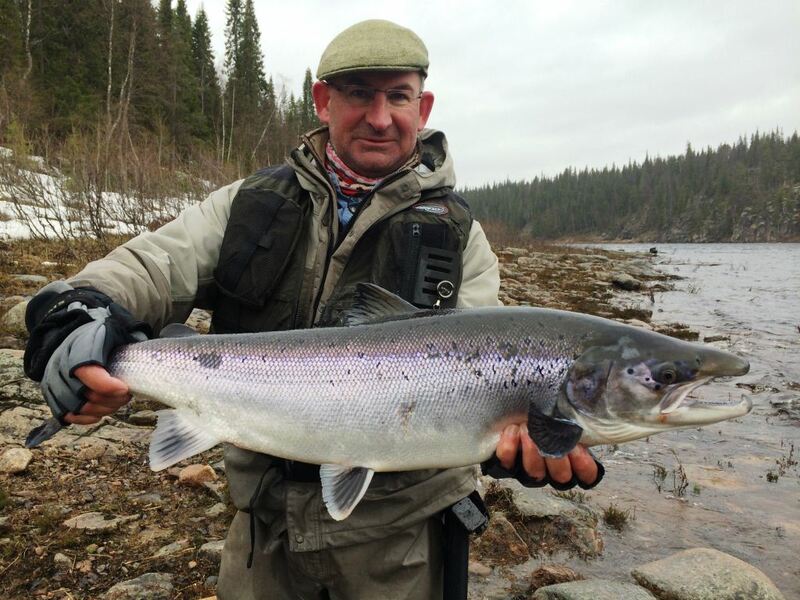 One of the more common questions from rods who are new to the Varzuga tends to be “Is this normal for the river at this time of the year?” – referring to height, temperature and sometimes productivity. The straight forward answer is that every year is very different and that there is no ‘normal’ and you simply have to adapt to what is in front of you – never more was this so than this season. Whilst we know that the temperatures will warm up and the river will drop over the season, this year we had rain in biblical quantities and the water height remained stubbornly high pretty much all year. 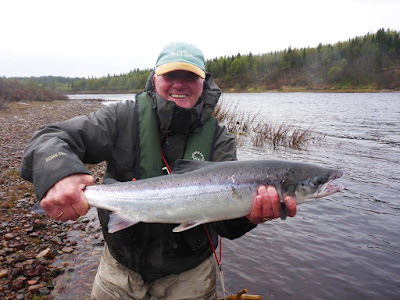 This was wonderful in terms of boating the river and we never once had a problem accessing all the beats but it did contribute to some tougher wading, and it spread the fish out more; we had to work harder and a lot of rods commented that they found the fishing more rewarding. 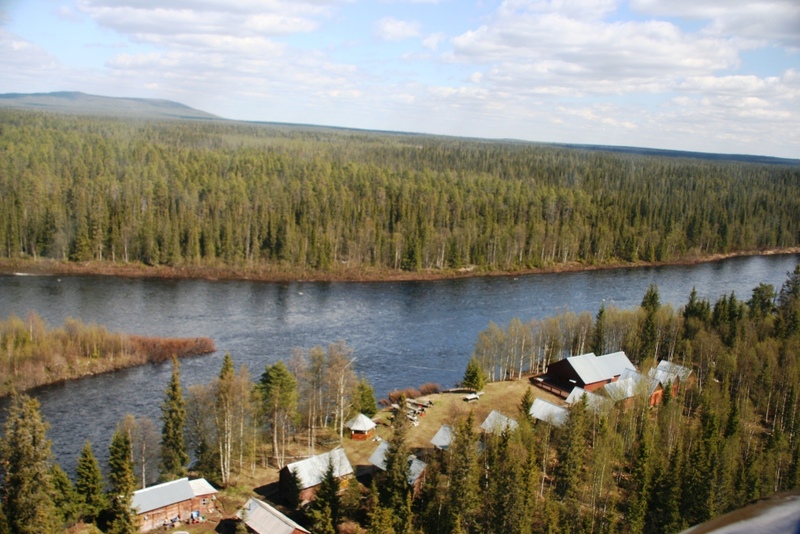 The weeks two, three and four of the season are when all of the camps are up and running and it is as busy as the Varzuga ever gets. During this period, 3,512 fresh as paint spring salmon were landed to 108 rods. It is worth pointing out that this figure is purely the number of fish we got to the net and this year, more than ever, we seemed to lose many, many more. The high and cold water may have led them to taking short, perhaps we just were more conscious of it or perhaps that is actually what we always do, but it was something we discussed almost every evening as it was hard to make sense of. It did mean that action was fast and furious even if it meant that the air was bluer than we might always expect it to be! Our mid-summer weeks in Kitza, Pana and Middle are very sought after and again, lots of familiar faces filled the camps until the season end. The river is at its most beautiful then with extraordinary colours and skies that seem impossible to imagine in the slightly bleaker, early weeks. Less fish are normally landed per rod in these weeks but the numbers are all hugely relative and the chance to fish floating lines in stunning, pristine wilderness surroundings is just not really on offer in many places these days, so the rods tend to be jealously guarded. Having said that, this year’s rain and cooler weather meant that right into July we were fishing intermediate tips which was again very unusual, but ensured all of our rods had masses of fishing room and that they could reach all the beats until the very last day. On reviewing the above it is clear that the theme is one of the season being unusual from a water height and fishing perspective – but even with unusual conditions the season was a reminder that no matter what, the Varzuga remains an extraordinary salmon river. Thank you as ever to all of our clients who fished with us and to our Russian partners who make it all work so well – it is a very special destination and we look forward to celebrating our 25th anniversary on the river next year. Please do contact us should you wish to experience the Varzuga for yourself.